Environmental Protection Agency Chief of Staff Ryan Jackson is taking the fall for the controversial, hefty raises given to two of Scott Pruitt’s closest aides who joined the EPA after working with Administrator Pruitt in Oklahoma. 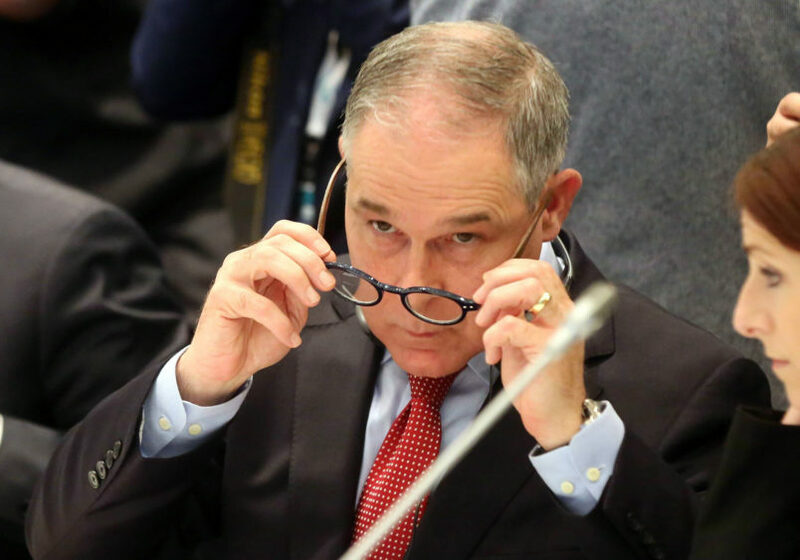 The Atlantic was first to report on Monday, citing EPA internal emails, that Pruitt was aware of the new salaries for aides Sarah Greenwalt and Millan Hupp. CNN obtained those emails, which reportedly indicate at least twice that “the administrator” had signed off on the salary increases. In one email between Greenwalt and the EPA’s human resources department, Greenwalt asks what her salary increase will be, according to CNN. When HR responds to the email saying there wouldn’t be one, Greenwalt says that “the administrator” told her she would have a raise. An EPA spokesperson told CNN that there’s no way to prove what Greenwalt said was true, and claimed that people commonly claiming that “the administrator said this or that,” the EPA spokeswoman told CNN. A second email from the liaison between the White House and the EPA mentioned that the White House was concerned about the raises, but said the administrator had said to move forward with it, according to CNN. The same spokesperson told CNN that that person meant to say “the administrator’s office,” not Pruitt personally. Pruitt’s chief of staff has said that the responsibility for the raises falls solely on himself and the EPA’s human resources department, distancing Pruitt from the decision entirely, according to Politico. After news of the raises — of $56,765 for Greenwalt and $28,130 for Hupp — became public, Pruitt gave an interview with Fox News where he said he had no knowledge of the salary increases until reports came out. The raises have since been reversed. Democratic senators have asked the department’s inspector general to probe the raises after The Atlantic reported that Pruitt used a provision under the Safe Drinking Water Act to move forward with the raises, which allows the administrator to appoint 30 staffers without the White House’s permission. The controversial raises are just one of many scandals plaguing Pruitt’s office in recent weeks as reports indicate that White House Chief of Staff John Kelly wants Pruitt out.